Pi4J provides a OdroidC1Pin enumeration that is used to manage the accessible GPIO pins. WARNING: The two AIN (Analog Input) pins use 1.8VDC. Do not attempt to connect 3.3VDC or 5VDC to these header pins. PWM is not supported in the Hardkernel Odroid WiringPi port. 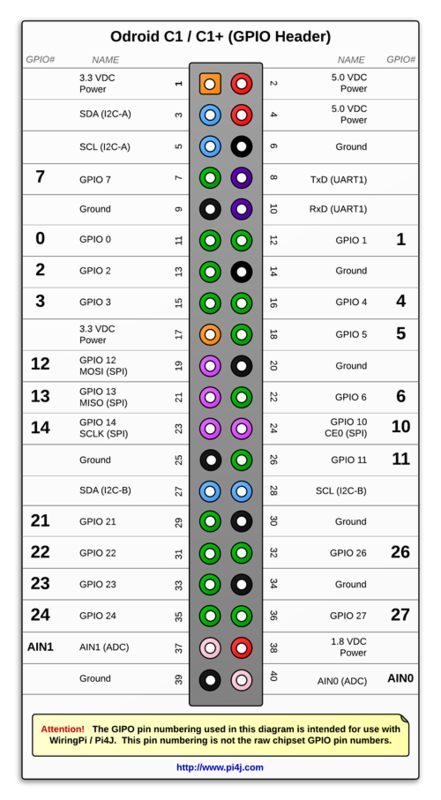 Thus PWM is not currently supported by Pi4J for the Odroid C1/C1+/C2 boards. 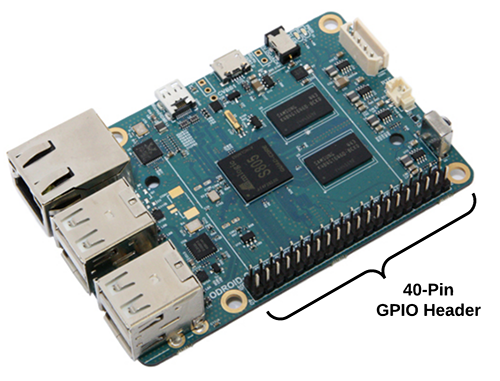 Click here for more information on the Odroid C1/C1+.